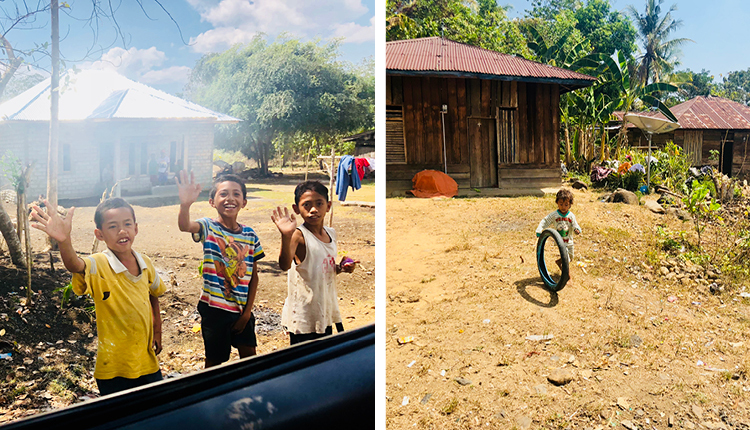 The Voice of Flores is about community, the villages, the people and sharing stories about life and travels throughout these stunning islands. We love hearing from locals and travellers, and we want to share their experiences with you. Adam, an Englishman in Flores (strains of ‘Englishman in New York’ by Sting playing in my ears), has been visiting Bali for years. However in the last couple of years, his travels to Indonesia have taken him to Flores and now is totally converted. 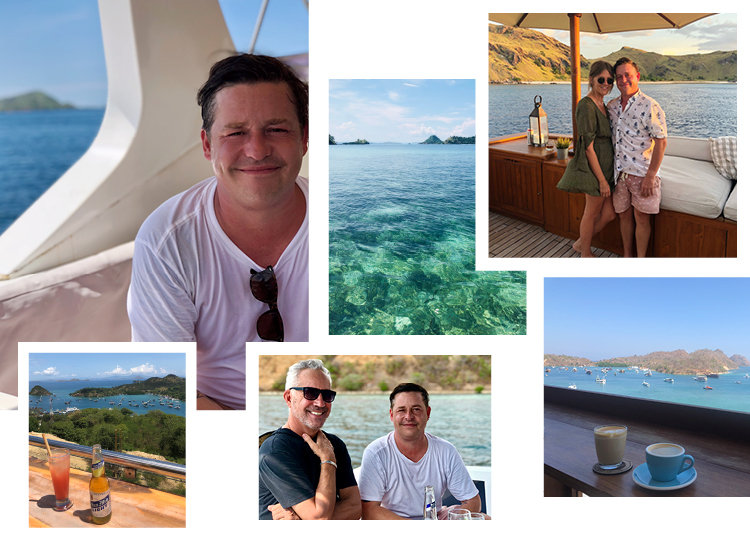 While he still loves Bali, it has become more of his stop over on the way to his true travel passion, Flores. How long have you been travelling to Bali for? It’s been about 9 years, a lot of my friends moved to beautiful Sanur so it became an annual pilgrimage. What is it you love about Bali? I immediately fell in love with Sanur and that region as it seems relaxed and easy. The determination of my friends to create a community was fantastic! Every visit the group of friends was bigger and that’s what Sanur is really about! The expats and local community working together to make a special relaxed environment for residents and tourists alike. It’s a great place and you can have a party! As a resident of Sanur, I couldn’t agree more. It’s got a relaxed vibe perfect for holidays but with a great bar scene for a party…without the traffic found in other parts of Bali. Now, how did you 'discover' Flores? A friend had been doing some business there on and off for years and always asked me to come and check it out. So what were your first impressions? What are the things that separates Flores from Bali for you? People. People. People! Did I mention the people?! The food and the ocean are also very different, it’s a completely different place. I do love Bali, especially Sanur however Flores is simply a different experience. 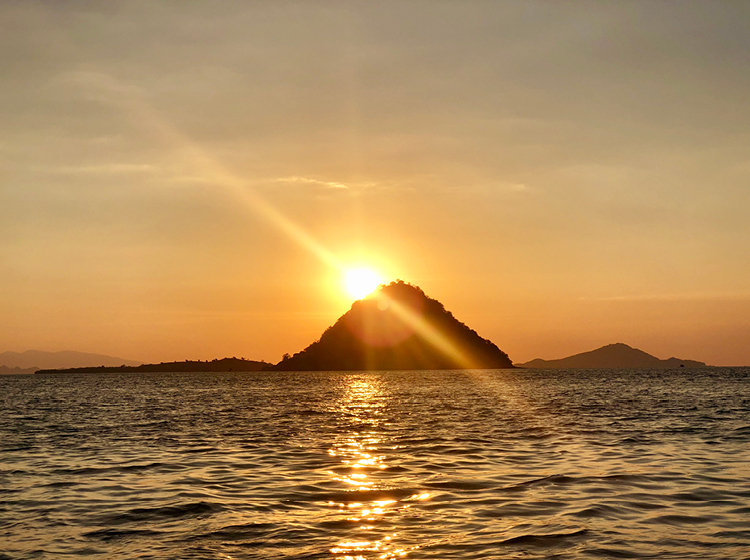 For new travellers to Flores, what would be your top five things to do? Just experience Labuan Bajo town and the fish markets, have a walk and find somewhere to have a nice cocktail - just make sure you have a nice view.... it won't be hard. Get on a boat, any boat, and explore. The Komodo dragons are great for a day trip. Snorkelling and checking out the most amazing coral you will ever see… it’s simply incredible. Three lakes in the craters of a volcano and pretty spectacular! The pictures don't do it justice so you just have to see it with your own eyes. Get a bike or a driver and just explore inland. Don't make a plan, just drive the villages and its residents will wave at you the entire way. It’s a really fun way to explore and get to know the real Flores. The dance is accompanied by drum beats and is not meant to be a serious fight, so don't worry that you are actually going to see a violent attack, as it is more a ceremonial spectacle than anything else. The dances happen in local villages and don't usually run to a set schedule, so the best thing to do is find a local guide who will be able to tell you when the next one is going to happen. Or you could check the events calendar on our website! If you had a crystal ball, what do you think it would show in the future of Flores? It is bright, there is so much development going on and more visitors every time I go there. The region is learning there is another player in town!! And you can have a drink looking at a stunning view…without having huge plasmas playing sport. You don’t need TV with the views that Flores provides! 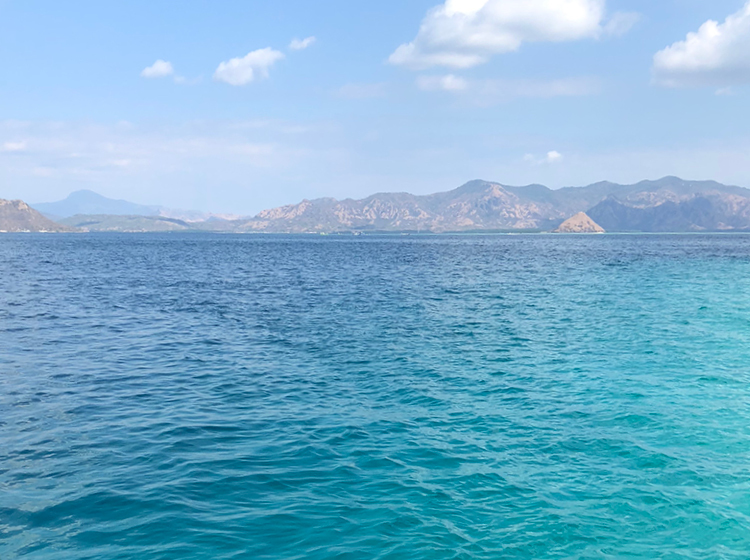 If you are looking into travelling to Flores and want to know, just contact us and we will happily go explore on your behalf (all in the name of research of course ha-ha). If you have already spent time travelling around Flores or live in the area, we would love to hear from you and write about your experiences. Please get in touch to feature on the Voice of Flores!